Whoa! 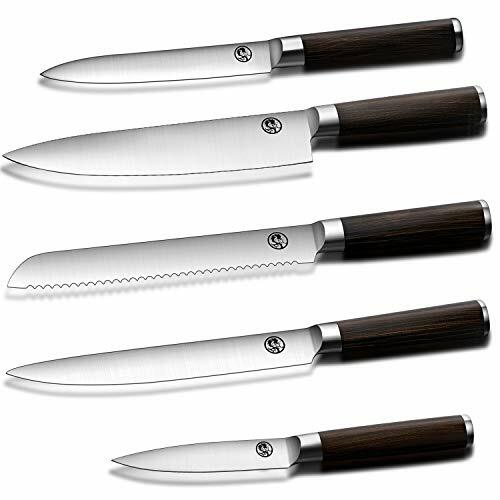 Complete Stainless Steel Knife Set only $15.99! (60% off!) FREE Shipping! Use coupon code JXZ7D7BJ to drop the price to $15.99! RAZOR SHARP AND STRONG - 3cr14 High nitrogen martensitic stainless steel Blade Provides Maximum Sharpness and Edge Retention. Unique Simulation Wood Handle Design -- comfort and security, durable and mildew resistance. Our knives are exceptionally well balanced and every seam is flush. Hand wash only, lifetime warranty against manufacturer defects.